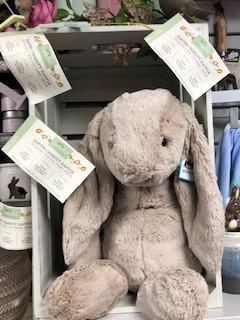 First prize is a large Jellycat bunny! Second prize is a Caroline Gardner gardener’s set! Third prize is a Jellycat duck! There may be other little prizes too so roll up and get your raffle tickets for £1 each. The raffle will be drawn on Easter Sunday!